Popular 2-level home in Alta MIra, with large master bedroom with master bath en-suite with tub and separate walk-in shower. two vanity sinks too. Two larger bedrooms upstairs and another bedroom bathroom on main level that can be utilized for a Mother-In-Law suite or for other family. Non-laminate countertops in kitchen and 18'' tile in all the right areas. Large, expansive, well-lit and bright rooms. Wet Bar and Full Formal Dining area with built-in buffet. Large RV gate going to private (fenced) pool in rear yard. Beautiful neighborhood park almost right across the street! 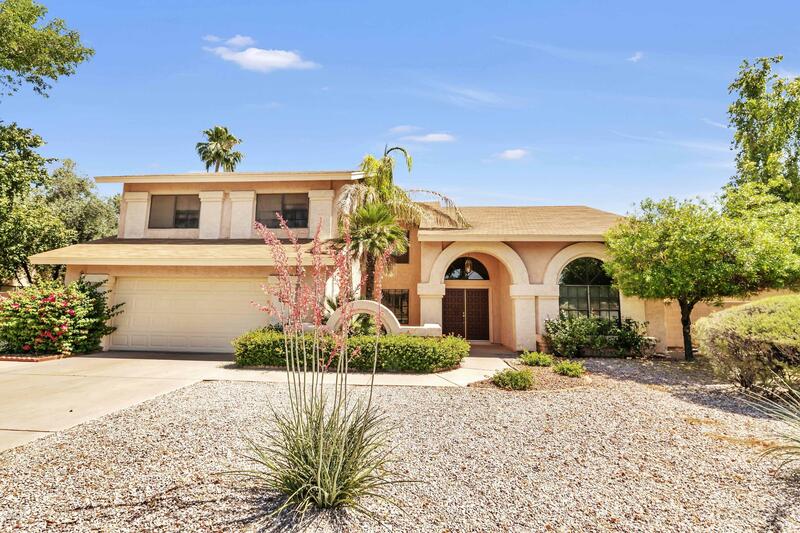 Close to freeways, many restaurants and schools in this great Tempe location.